Bottled at 50 % alc. 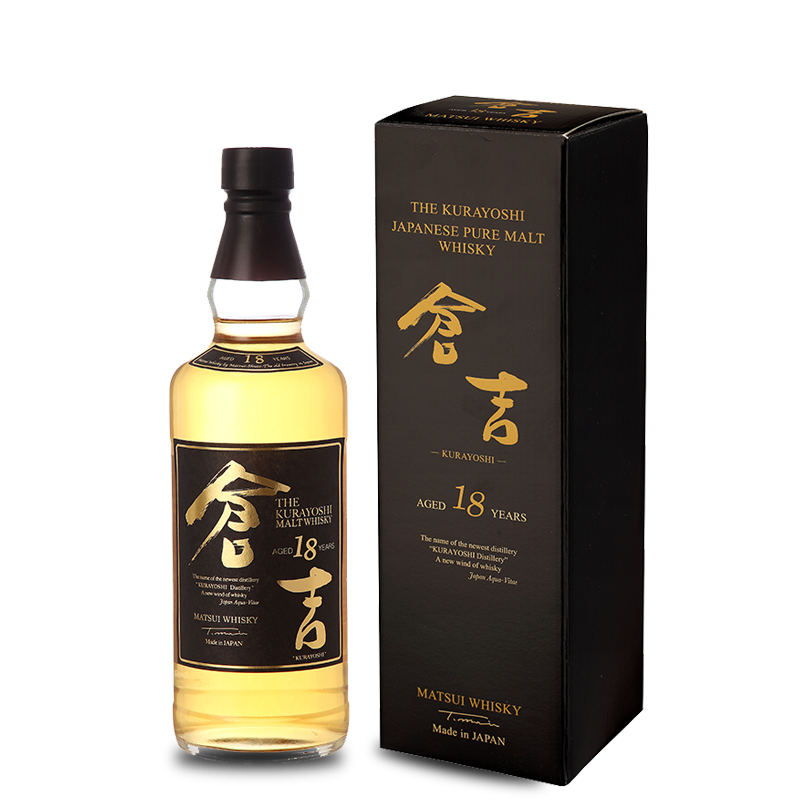 vol, the Kurayoshi 18 Year Old Pure Malt Whisky is Scottish in style with complex and deep flavors. It is well-balanced with a mellow taste showing sweetness and spiciness complimented by malty overtones. The finish is elegant and slightly smoky. NOSE : Malt flavor of puffed cereal and bread, hint of lemon peel and dried grass. PALATE : Honey, candied lemon and malty flavors followed by spices and dry straw. FINISH : Small amount of sweetness highlighting aromas of wheat and vanilla cream. Slight smokiness.